Hair loss, baldness, scaling, itching and excessive oiliness are problems from which many people suffer and about which they would like knowledgeable, professional advice and, where possible, treatment. In 1974, the International Association of Trichologists was founded with the principal purpose of developing an educational course which would supply the necessary training to becoming a qualified trichologist. The trichology program was developed at the University of Southern California during 1974/75 with a group of medical specialists under the guidance of David Salinger. The program took 2 years to develop and consists of modules, lectures and photographs. The program is continually updated. 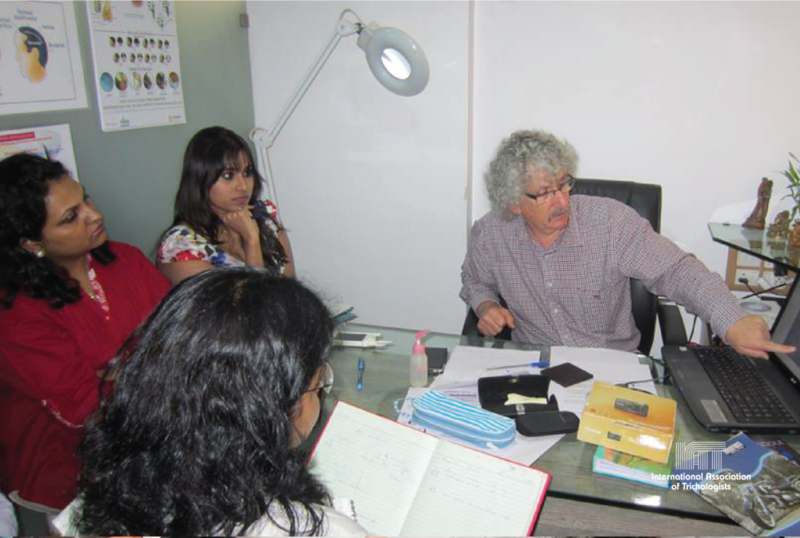 The program gives students an understanding of the problems associated with the hair and scalp and teaches how to recognise such problems and treat them, when it falls within a trichologist’s scope to do so. Successful completion of the program will enable the interested professional to become a "Certified Trichologist" and member of the International Association of Trichologists, which is the professional body responsible for handling the trichology program. The administrator of the course and Director of IAT is David Salinger. Mr Salinger is a member of the International Association of Trichologists. A trichologist helps people who have problems with their hair or scalp. The client may complain of sudden excessive hair loss from all over the scalp, a bald patch which has suddenly appeared, or itching and excessive scaling of the scalp. These are the sorts of problems a trichologist sees. The trichologist will carefully question each new client and examine the scalp thoroughly to assess the problem and its cause. A microscopic examination of the hair might be required to aid in the diagnosis of the problem. The trichologist must then decide if treatment is necessary and whether the problem is within his or her realm to treat, or should be dealt with by another specialist. Treatment by the trichologist might consist of the application of a particular cream or lotion to the scalp or the use of nutritional therapy.